I’ve had lots of requests lately asking what the game is all about. I post in-progress development stuff, but I haven’t actually detailed out what the game is going to be, so here we go! What kind of game is All Aboard? All Aboard is, at it’s core, a town builder…with a twist. I’ve played many, many sim-city like games (that I love) that include resource management, city mayorship, and natural disasters. I have fun with those mechanics, but most of the time I find myself just wanting to build and upgrade without all the hassle. That is what All Aboard is all about! All Aboard is NOT a simulator. The idea of the game is to have all of that minutia removed so that you can focus on building, decorating and upgrading till your heart is content. So, what is the game play if I’m not farming, or grinding for resources? You will be earning income from the passengers arriving and departing on the train. No town is complete without a reliable source of public transportation! Throughout the game, you will be earning XP by placing buildings, roads and decorations for the passengers to visit and enjoy. Each arriving and departing passenger earns you XP, and tapping on them walking around the town will earn you a small amount of XP as well. As your XP grows and you level up, more building options and upgrades become available. The upgraded buildings will earn you even more XP and bonus income for every passenger that arrives or departs from your town! The trains arrive on a predetermined schedule. Generally speaking, they arrive a few minutes apart. The frequency of the train arrivals is one of the upgrades you can purchase with in-game currency, earning your income faster. Nope! You will have your main town that you start in and where you are allowed to build and expand. 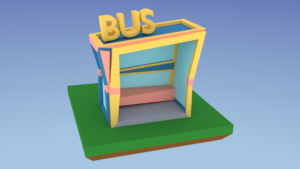 But not all buildings or passengers are available at the start of the game. There will be secondary locations to visit that are already built, but need a little help. You might visit the neighboring town only to find that they are missing a barber shop and a coffee shop. If you have enough money, you can build them what they need. 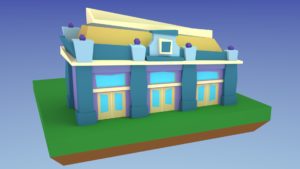 Once you do, those buildings are available to build in your main town! You keep talking about “Passengers”…why? Passengers are the livelihood of your town. You don’t earn any money if you have no passengers on your train. Luckily for you, there will always be passengers on the train, but not too many at the start. You will need to upgrade the train station, complete objectives, and complete secondary locations in order to increase the number of passengers arriving and departing. Once you do, the money will be rolling in! The secondary locations provide more than just new buildings to put down, they provide new passengers too! 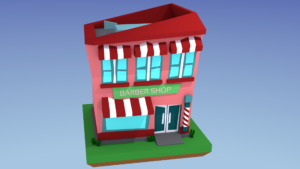 For example, in the second location, after you build the Barber Shop and Coffee Shop, the Barber and Barista will now visit your main town! You’ll see them getting on and off the train and walking around town enjoying all the amenities you’ve built for them. For each secondary location, at least two buildings and two passengers will be unlocked for use in your main town! What else can I do in the game? Passengers will walk around on the sidewalks of the roads you build for them. Tapping on them will earn you a small amount of XP and income. Even though we have a world-class public transit system, people still drive around. You will see vehicles driving around that you can tap on to earn a small amount of XP and income. 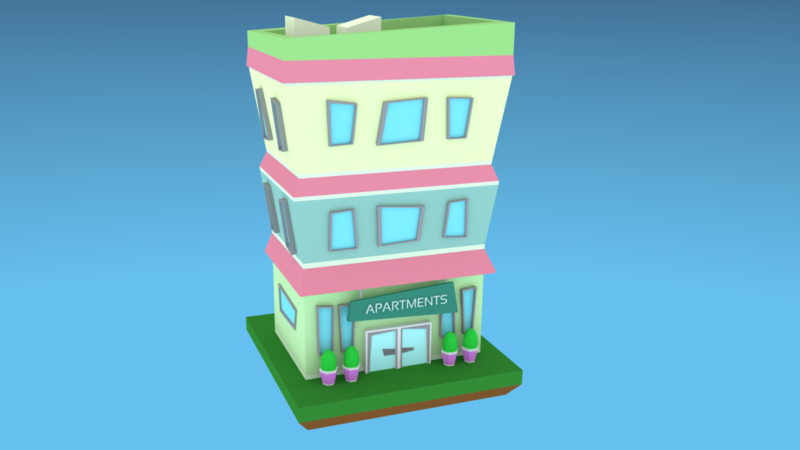 Since the main objective of the game is to build and decorate, your main goals are to increase your income. Any action that provides an increased source of income is what you do in the game while you’re not building and decorating! This includes tapping on passengers and vehicles, unlocking and finishing secondary locations, playing through the objectives and upgrading items and abilities. All Aboard! is still in development. There is no scheduled date for launch, or even a scheduled beta version yet. I am working diligently to get all of these features in and rock solid, and adding more and more every day! I do hope that the game sounds like something you want to play, so please follow me on the social channels for continual updates, announcements and other news! If you need testers or backers for this game I am interested. I think this game is good and has possibilities. Looks like a lot of fun to me. And I like the graphic style. Thank you! I will most definitely hit you up when the time comes! Thanks for your interest!